This story has been updated with some additional information about the layoffs. Wal-Mart has decided to part ways with Castlight Health at the conclusion of its current contract rather than migrate over to Castlight Complete, the company's new platform designed to bring the consumer-facing care navigation tools it rolled out with Anthem Engage out to non-Anthem customers. On the company's second quarter earnings call, CEO John Doyle told investors that the company had only found out last week that Wal-Mart wouldn't be renewing its contract. He described the move as disappointing but not crippling, and Wal-Mart as a large but atypical Castlight customer. "Of 260 customers, Wal-Mart was one of the two that are really an outside scale relative to the broader customer base," Doyle said. "That other very large customer is already in the process of migrating, and user acceptance testing for Castlight Complete is going really well. In fact, the other four of our top five customers are all moving forward with Castlight Complete. And so I think it's important not to drop too many inferences from this experience. Wal-Mart is a huge employer, an outlier in a number of ways, and I think certainly capable of pursuing its own priorities in a very aggressive way with the resources of that company." During the Q&A, Doyle also noted that Wal-Mart wasn't doing a great job of maximizing the value of Castlight's platform. "They had purchased a broad set of our capabilities, had not deployed wellbeing, [and] had not purchased or integrated any ecosystem vendors that we worked with," he said. "Of the five engagement fundamentals that we view as critical to driving ROI [and] long-term value, they'd implemented one." Other than the Wal-Mart news, the company had mostly positive updates to share on the call, with a record-high quarterly revenue of $38 million and 17 new customers signed, compared with 11 in Q2 2017. According to Castlight Health Chief FInancial Officer Siobhan Nolan Mangini, the company anticipates a loss of $13 million next year because of the Wal-Mart decision. Castlight will attempt to offset that loss with a restructuring (which will include 50 to 75 layoffs, MobiHealthNews has learned) intended to cut operational expenses by $15 million to $20 million. The overall goal of the restructuring is to make the business self-funding. Mangini said "the most significant adjustments" will be to sales and marketing as the company shifts its strategy toward its channel partners. As another cost-saving measure, the company also intends to stop supporting legacy platforms and is aiming to migrate all customers to Anthem Engage or Castlight Complete by mid-2019. If Wal-Mart is the dark spot on Castlight's Q2, Anthem Engage is a bright spot, with the platform seeing impressive uptick and overall satisfaction, Doyle said. "Employers have been purchasing Engage at twice the rate they did last year," he said. "Importantly, many of these customers are businesses that had previously been unwilling to purchase our solutions directly. 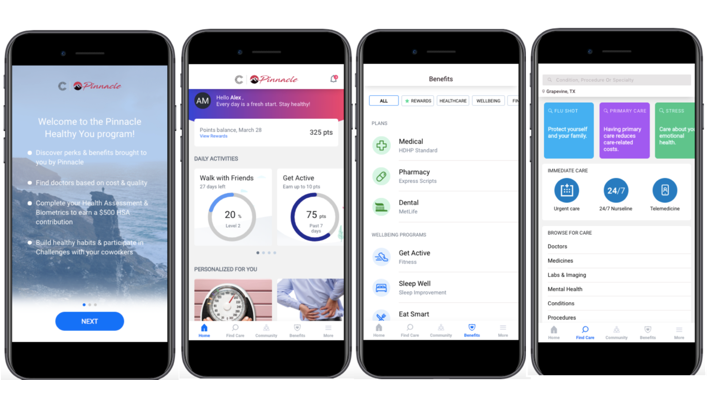 Engage is highly personalized mobile-first combination of care guidance and wellbeing capabilities and delivers the most comprehensive health navigation solution in the market."